This entry was posted on January 15, 2019, in Uncategorized. This entry was posted on January 15, 2019, in Wood. This DIY Oil Painting provide great painting process for unisex kids and adults complete together, even if the beginners. You will get amazing resultes and compliment when it finished! Experience the feeling of relaxation, and will be proud of I am also good painter! This DIY oil painting kit suit for children who is over 6 years old and adults. Paint can not eat, please put it far away from children, make sure they can’t get it. Have any questions about the product, please contact us. Thank you. –Paint by color numbers, finish one by one. –Wash the brush when you finish every day or change colors. –Follow the top to bottom, from left to right paint the color. –You can decide the drawing turn according to your personal favor or in turns of the numbers. –We provide enough paint to use, do not waste in the case of paint shortage. –The figures on the canvas may not be completely covered, hope you do not mind. –Healthy digital pigments, high color reproduction, bright colors. –Paint can be directly colored, no need to add water. –Paint coverage is strong, the painting process if the error, you can cover the correct color. –The paint is easy to dry, when you don’t use, cover the lid, If the paint is too dry, add 1 or 2 drops of water to stir evenly, remember don’t too much. –The paint box corresponds to the number on the canvas, and the unmarked pigments correspond to the shaded parts of the canvas. 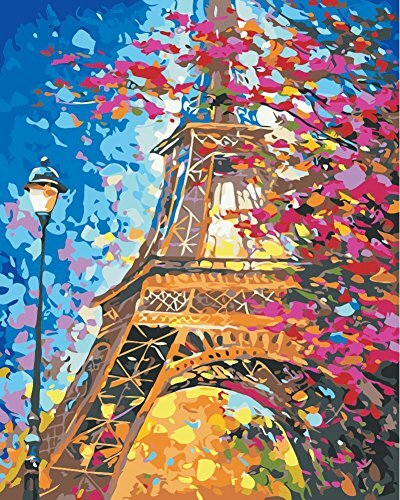 PRODUCT FEATURE – Sold by SEASON directly, paint by number kit on canvas frameless 16x20inch, painting with exquisite gift wrapping. 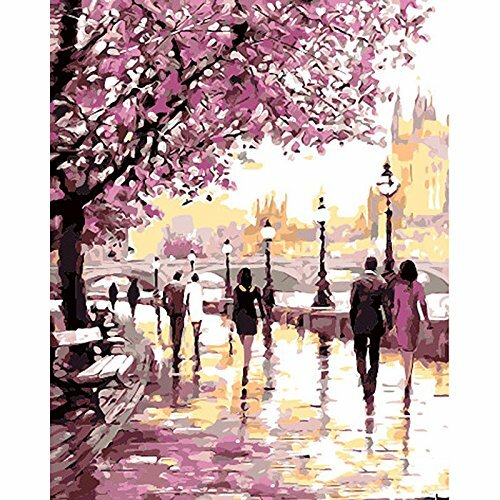 DIY OIL PAINTING – This number painting kit is not finished, need to paint by yourself, make you feel like a painter. EASY TO PAINT – Perfect for adults and kids, suit for all skills levels, easy to follow the instructions, finish one by one. FREE STYLE – You can decide the drawing turn according to your personal favor or in turns of the numbers. Paint out of your style. WHAT YOU WILL GET – Painting by numbers kit include 1 pc pre-printed textured art canvas (without framed), 1 set acrylic paints, 1 set brushes(include 3pcs), come with SEASON exquisite gift package. This entry was posted on January 15, 2019, in Prints. 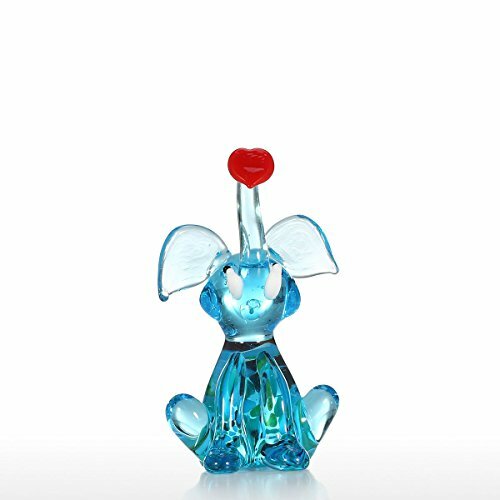 This is a tiny blue glass elephant with lovely styling. Its long nose inhales a red heart with love, which shows eternal love. The spot on its back reveals vitality. UARANTEED QUALITY: Ships and Services by Amazon with Prime available A-Z money back guarantee. High quality heavy-duty and BUILT TO LAST! 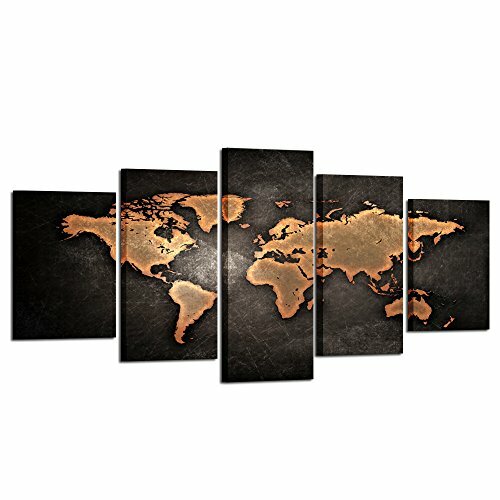 Made by Excello Global Products. We are a family owned USA company and we have been making quality products for over 50 years. This entry was posted on January 15, 2019, in Glass. 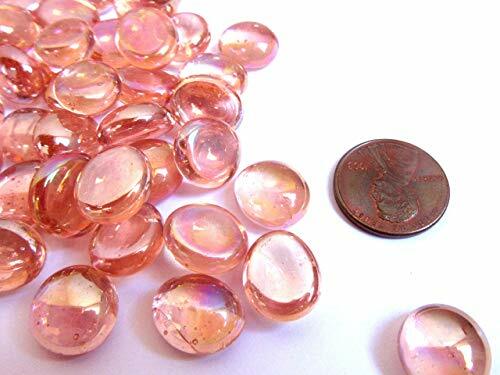 50 mini flatback glass gems . 11 – 14 mm (approx.1/2 inch – small size). 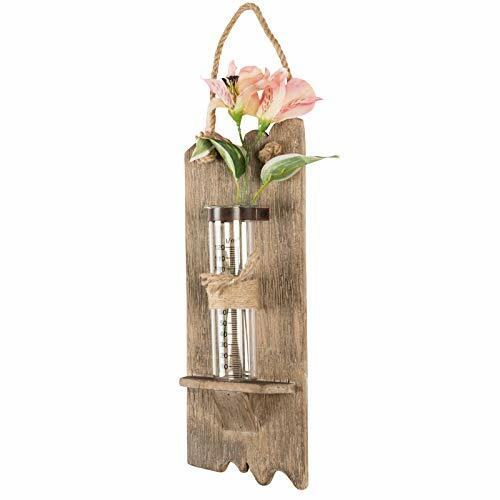 Use as mosaic tiles, vase fillers, and embellishments in other home decor and craft projects. In a resealable bag for your convenience.